Gardenia plants are available from selected wholesale growers for both the landscaping industry and to retail nurseries and garden centres. These are an evergreen flowering shrub to ground cover plant with a number of species and cultivars being offered by wholesale growers. Seen as a tropical to sub tropical plant they will grow in cool to temperate climates and plants sold in these areas are usually more suited to the climate. Best in a humus rich soil, a warm sunny position and protected from winds, Gardenias are grown for the fragrant flowers as well as the attractive green foliage. A number of varieties are offered, different flower forms, both singles and doubles are available. Growth habits vary from low growing to taller bushy shrubs. Gardenia grandiflora ‘Star’ is a small growing gardenia suitable for cooler climates. Growing to about 1m with a long flowering period (white fragrant flowers) and a dense busy habit this is one of the best Gardenias for cooler climates. 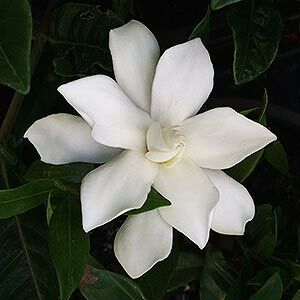 Gardenia Florida will grow to 2m and has double flowers, opening white and turning yellow. Gardenia Radicans is a prostrate form growing only to .5m. Again semi double flowers. Protected position is best, avoid hot afternoon sun in warmer climates. Avoid cold winds in cooler climates. A specialist gardenia fertiliser is best. A Camellia and Azalea fertiliser will also be suitable. Gardenia Plants are available from the following wholesale growers. Growers of quality, buxus, gardenia, conifers, murraya, nandina, photinia, daylilies, liriope, lavendar, pigface, diosma, tibouchina, bottlebrush, hebe, agapanthus, natives, exotics, trees and shrubs.